With the overwhelming optimism around mobile phone-based communication technologies, it is reasonable to ponder: Do literacy levels pose a serious limitation to SMS-based communication campaigns? I don’t know why I’m getting a message in Spanish, I only read and speak English… Perhaps this afternoon I can ask my Spanish-speaking neighbor what this means? Shoot, I see the word Zika: Something something Zika something something something something. Ugh, I can’t deal with this right now, I need to get the kids to school… We are running late. 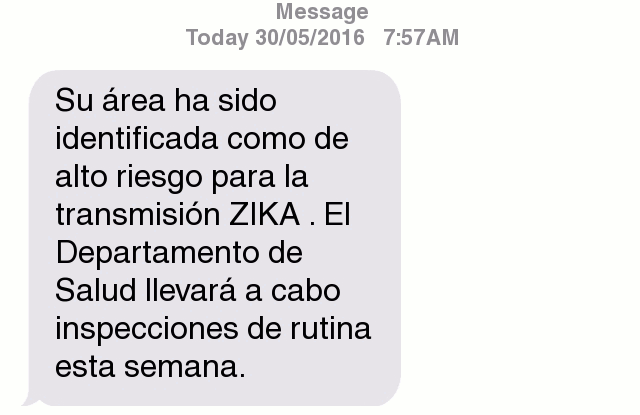 If you were able to read “Zika” plus one or two other words in the scenario above – congratulations! Having read part of that simple sentence, you are now considered “literate” in Spanish, according to Demographic and Health Surveys (DHS) criteria. The DHS classifies “percent literate” as the percentage survey respondents who attended post-primary school or higher, and those who can read all of a simple sentence, and those who can read part of a simple sentence in local national language. In Zambia, where I work, it is with this formulation that DHS arrives at 68 percent literacy. Recently I spent the day in a crowded Lusaka compound interviewing three teenage mothers. Outside the tiny one-roomed house, the maze of dirt roads hummed with activity, kids ran barefoot, barely dodging streams of open sewage, dragging behind them kites made from tattered plastic bags. 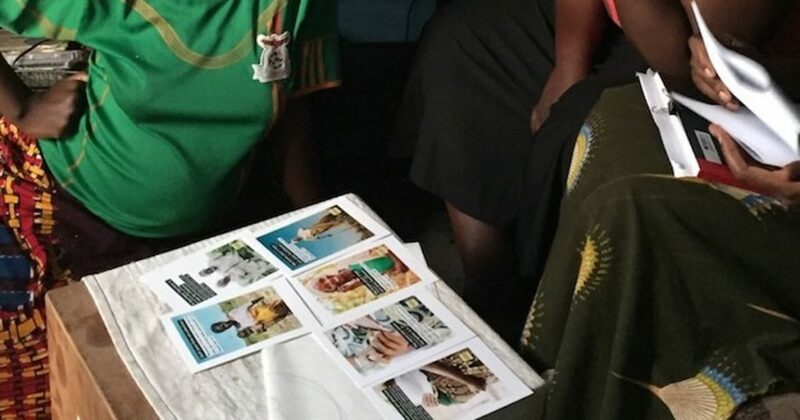 Inside, the three ladies were shown cards with simple sentences in Nyanja: “Crops are your livelihood,” “Lives of mothers and babies are precious,” “Call if you want to know how to take care of your baby and yourself.” In the dimly lit room, each of the women stared blankly at the cards. How do you think the young mothers reacted? Simply, the ladies didn’t react; they couldn’t understand a single word. As Zambia and Botswana Program Manager for Human Network International (HNI), I am clearly a proponent and practitioner of ICT4D. SMS and IVR projects are a big part of what we do. With the ever-increasing mobile connectivity globally — particularly in some of the world’s poorest and least developed countries — it is no wonder that mobile phone-based communication initiatives have quickly become the hip new communication tool for international development agencies. With SMS, is it now possible to quickly and efficiently disseminate public service messages on a scale simply unattainable by other communication platforms such as posters, radio spots, pamphlets, or billboards. One appeal of SMS-based communication campaigns is their ability to reach massive swaths of the populations — particularly isolated, rural, women with limited education in sub-Saharan Africa and in South and West Asia. The exact audience that is least likely to be literate. According to the UNESCO Institute for Statistics, the lowest national literacy rates are observed in sub-Saharan Africa and in South and West Asia. In 14 countries, less than half of the adult population is literate. Many SMS communication campaigns are of the “mHealth” variety. Patients receive messages to remind them of appointments, and to increase health information and service access. Low literacy poses a serious barrier to information comprehension, particularly in instances of health and/or scientific terminology. It should be obvious that sending health-related SMS’s with words such as ‘meningitis immunization,’ or ‘schistosomiasis’ to those who are illiterate is a futile effort. However, mHealth SMS initiatives are designed to disseminate medically-focused messages, which are often outside the comprehension of even those men and women who can only read part of simple sentence. Again: These people are considered literate by the DHS. In Mozambique, Ark piloted an SMS system intended to improve HIV treatment adherence and prevention of mother-to-child transmission of HIV. However, in Mozambique, 68 percent of women either cannot read at all, or can only read part of a simple sentence. In Mali, TCC Mobile supported the Ministry of Health to develop an SMS platform to prevent the spread of Ebola. But in Mali, 79.2 percent of women and 63 percent of men cannot read at all. An additional 4.6 percent and 8.4 percent of women and men, respectively, are able to read only part of a simple sentence. In Ghana, The Mobile Midwife Application enables pregnant women, new mothers and their families to receive weekly SMS and/or voice messages. Nonetheless, in Ghana 32.8 percent of women cannot read at all, and an additional 1.9 percent of women can read part of a simple sentence. So, in Ghana, a country with relatively high overall literacy compared to many neighboring countries, a surprising 99 percent of enrollees chose to receive the messages by pre-recorded audio. Back in the bustling Lusaka compound, each of the three young women — the ones who stared blankly at the written messages — were given the chance to beta test messages on HNI’s Interactive Voice Response system, the 3-2-1 Service. Listening through the speaker of the simplest mobile phone, the ladies’ eyes lit up as they heard a native Nyanja speaker giving tips about feeding a 6- to 9-month-old baby. In a matter of an hour, I saw women go from being completely information-isolated in a world of written communication, to being empowered by an audio information system. As we know, technology doesn’t wait for anyone, and mobile phones are entering the hands of more people each and every day. While this will rapidly outpace what are traditionally slow gains in literacy, it still provides a unique opportunity to reach previously isolated populations with important information in a language they understand. It’s time to think outside the SMS box, looking to other, more appropriate ways to reach populations, like the three young illiterate Zambian mothers, via mobile phones.